Association communities can depend on “the kindness of strangers” to bring huge benefits to all association members. 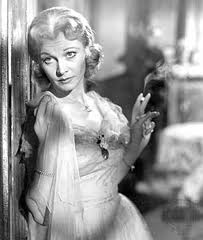 In case that phrase rings a bell; it is by Blanche DuBois in A Streetcar Named Desire and the full quote is “I have always depended on the kindness of strangers”. Association member engagement requires association member time which is a valuable commodity. Members of your association may initially log in to a community out of curiosity but what will keep them coming back? There are many member benefits to being part of an association community, but research and expert opinion ranks networking and access to specialized information close to the top. Adult learning recognizes a related fact. People are most ready to learn when faced with a problem that they can not solve by themselves. How does this relate to associations and the kindness of strangers? A simple example is a person at work faced with a problem. They need help. In the past, they would ask someone that they thought could help by visiting or calling a coworker, colleague, boss or supplier. An online association community that has a question and answer capability allows members to easily ask questions 24/7 and get an answer from an expert across the country or in another country. Software with reputation measures helps evaluate the person answering and thus, to some extent, the quality of the answer. Backup documents can be placed in the community library so that the rest of the community can benefit not only from the question and answer but from the references. Subsequent discussion relating to different views or greater detail can lead to refinement of answers and alternative approaches to a problem. A simple question can create a collaborative forum with member comments and even polls. Why should a member answer a question or make a comment? To some degree this is the advantage of a private association community. The comfort of being in your own association and the ability to give back to colleagues and friends makes relying on the kindness of strangers a workable option and a real association benefit to all concerned. Over the past few months, I have been on the phone quite a bit. Dialing for dollars as they say — or, more prosaically, making a lot of sales calls. This has given me the opportunity to speak to a fairly wide range of associations, and I’ve learned a lot about attitudes towards social media. An interesting one that has come up a few times is the fact that some members fine social media scary. At first this seemed odd to me, after all so many people use Facebook and other services already, how could having social media which has been designed specifically to support member activities be scary? But upon reflection, it makes sense to me. A lot of it is due, I think, to the amount of hype surrounding social media. This does two things. First, it means that the term social media is applied to a broad range of services and activities. So, if you aren’t familiar with these things, then it can seem overwhelming. Second, there’s the potential for a sort of peer pressure in which you think you should be using these systems because everyone else is. But that pressure is just going to create discomfort for new users. What can we do? To answer this, I think we have to go back to the question of why we want our members to use social media. Social media is a tool, not a goal. We need to start with a clear understanding of the value that we want to provide to our members. Social media comes into play when it is the best, most effective way to deliver that value. When that happens social media can be demystified. It won’t be scary any more because members won’t see it as social media, but just as a way to learn, or find interesting information, or share expertise, or whatever it was that was the real goal. And the end result will be members who are more engaged and more satisfied. As a software developer, my goal is to create something that people will find useful. Normally, I think of this as solving some problem that people experience or helping them do something more efficiently/effectively. Of course, to do this, you have to have some notion of what motivates your potential customers. It is useful, as the old adage goes, to walk a mile in their shoes. At AssociCom we produce software for associations. In particular, we want to help associations build online communities for their members. Now, since I belong to two professional associations, volunteer extensively for one of them, and have been involved with a few others, I am in some sense, my own customer. This is both a blessing and a curse. It means I’m passionate about what I do, and I hold some deeply cherished notions of what an association should do, and the role that software could play in that. Of course, the latter is simultaneously a curse, since it can make it harder to recognize the needs of others when they are different. With that in mind, I wanted to write about what I want from an association. I’m hoping that others will join in and share their expectations as well, and that we’ll develop a more encompassing sense of how associations can serve their members. Providing a question/answer forum that would help resolve very specific and concrete problems I will run into on a day to day basis. Interestingly, stackoverflow.com does a pretty good job of this and is not run by an association. One might also look at quaora.com. Providing training to allow me to quickly come up to speed on new technologies. The ACM (www.acm.org) provides a fairly broad set of online courses for software developers. Providing high level guidance about choices that I might face in doing my job. For example, if I am developing a new web-based application, I might want to know the advantages and disadvantages of certain languages or software development frameworks. I still haven’t found a really good resource for this type of material. Providing me the opportunity to meet with other professionals in my local area. The IEEE has done a pretty good job of this in the past, but it seems like meet-ups are the most common vehicle for this sort of in person gathering, and generally speaking they don’t appear to be organized by associations. So, that’s what makes me tick. Your turn now! We’ve started doing regular live stream’s at AssociCom. For the moment, we’ve settled on every second Wednesday at 10:00 am Pacific. There is an archive of shows at http://www.AssociCom.com/Show. We’ve not got 3 under our belts and we’re starting to feel professional. Yesterday’s stream was on Your Association and the Cloud. The goal was to help demystify some of the hype around the idea of Cloud Computing. We didn’t get to talk about all the things that I had hoped we would, so I think we’ll probably do another installment on the topic in the near future. We did manage to cover a fair bit of ground in terms of covering some of the history that has lead up to cloud computing, looking at the basic technology involved, and diving in to some of the different things that are called cloud computing. What we didn’t cover in much detail was the analysis of whether cloud computing is a good choice for an association; issues such as security, privacy, reliability, etc. So, this is what I’d like to spend some more time on in the future. I’m hoping that I can solicit your feedback on particular questions you have about cloud computing and then we can put together a show that is focused on your needs.